Graded FAIR 20 by SGC. 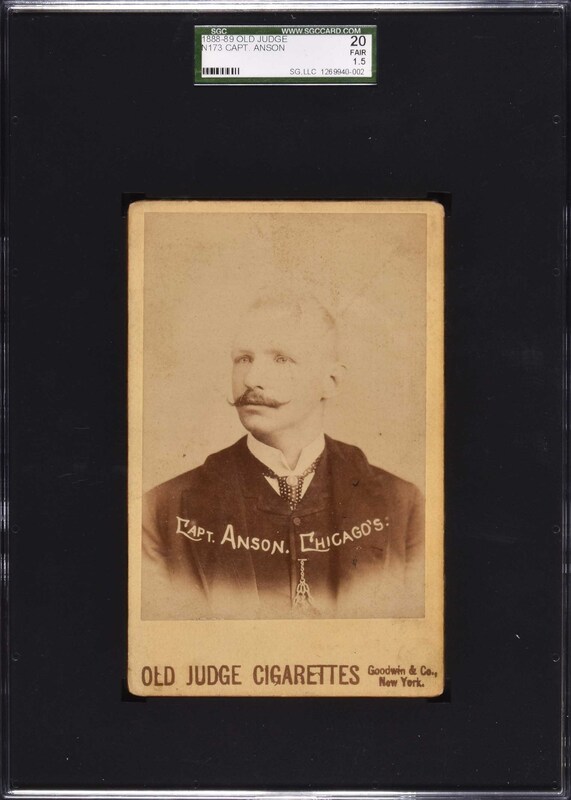 Extremely attractive medium-grade example of Cap Anson from the N173 Old Judge cabinet series. The N173 Anson is one of the most impressive of all Cap Anson cards, and one of the great classics and most sought-after of all 19th-century cards. The actual mounted photograph is in Excellent condition with very minor toning The mount has light edge and corner wear. 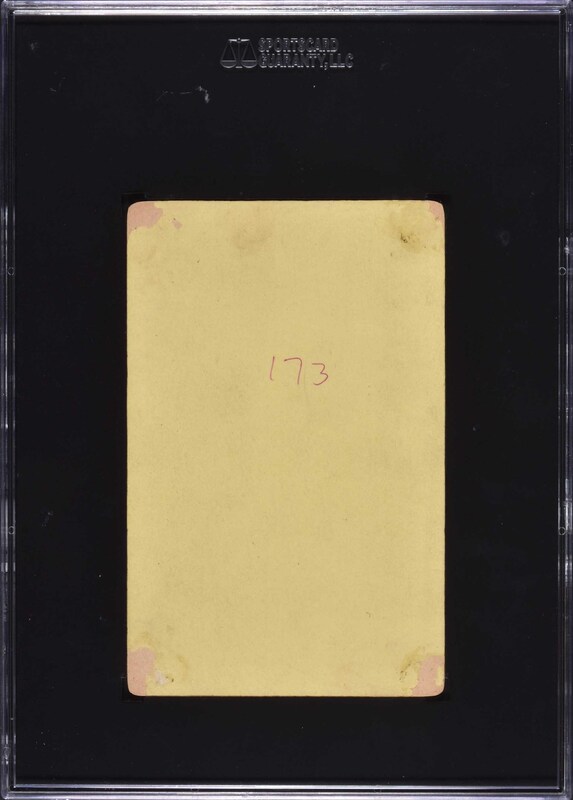 The blank reverse reveals evidence of paper loss in all four corners, very likely the result of having been removed from an album, and the number "173" written in red ink. Despite these faults, still a very attractive card. Technically grades Fair, but with a much stronger appearance. Reserve $1,000. Estimate $2,000/$3,000+.